Online video streaming is the new trend and is highly popular among most of the mobile phone users in India today. So almost all the telecom operators these days have been collaborating with online streaming services like Netflix, Prime video, ZEE5, Alt Balaji etc so that they don’t lose their existing customers and also to captivate new customers. One of India’s leading telecom operators – Vodafone has also upped its game in order to not lose its prevailing customers because of alluring benefits offered by other telecom operators. Following the trend, Vodafone has announced a partnership with Amazon earlier this year. 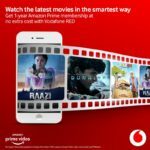 Vodafone is now offering its customers (existing and new) 1 year of Amazon Prime membership for free. With the Amazon Prime membership, the customers can view latest and exclusive videos on Amazon Prime Video, can enjoy Ad-free music with unlimited downloads on Amazon Prime music, and are entitled to exclusive deals and unlimited fast deliveries on Amazon app or website. How to activate the Vodafone Amazon Prime Offer? The offer is valid for all the Vodafone Red postpaid customers (with a bill equal to or more than RS 399) of Vodafone. First, download the Vodafone play app on your mobile phone. On the home page, click on the tab which describes this offer and then go to the bottom of the next terminal and click on Activate now. In the next terminal, you just need to login on Amazon to finish activating this offer. 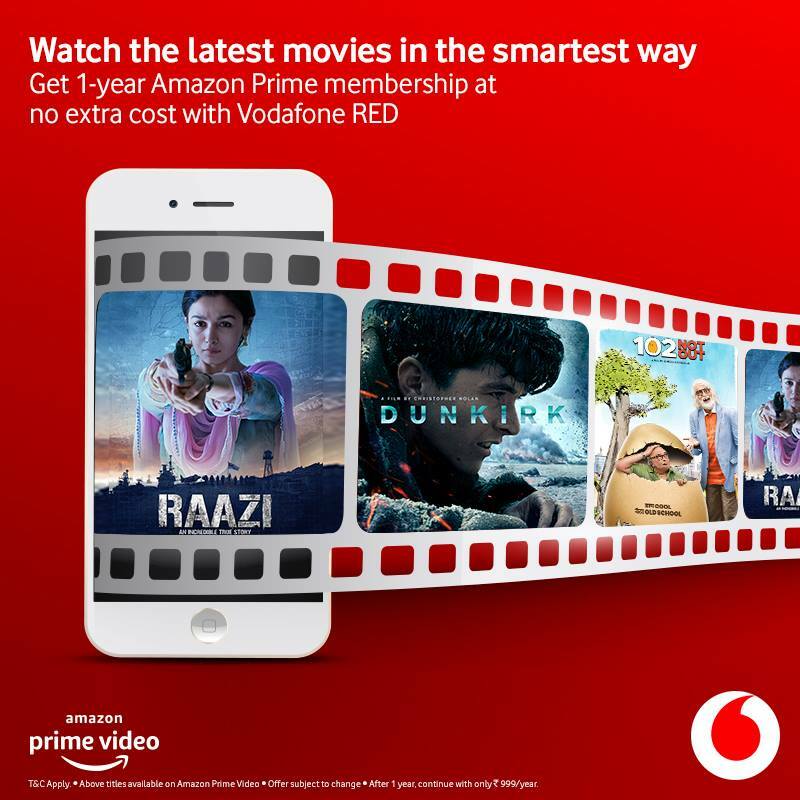 Vodafone did not completely disappoint their prepaid customers as they announced an exclusive offer for them which offer them 50% off on 1-year Amazon prime membership. 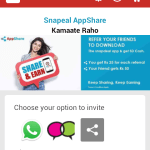 This is part of Youth offer and is valid only for Vodafone U prepaid users between ages 18- 24. Also check out other Amazon prime membership offers given here.